Yoga Guru Baba Ramdev's Patanjali has launched a new chatting application Kimbho. They have launched the app today, and it has crossed 10,000 downloads within few minutes. Patanjali is calling Kimbho as the best WhatsApp rival messaging app. SK Tijarawala has tweeted about this launch. A couple of days back Patanjali has established a partnership with BSNL for Patanjali SIM cards. BSNL broadband is one of the best in it's kind. But, this time BSNL has established collaboration with Patanjali to outrank JIO. 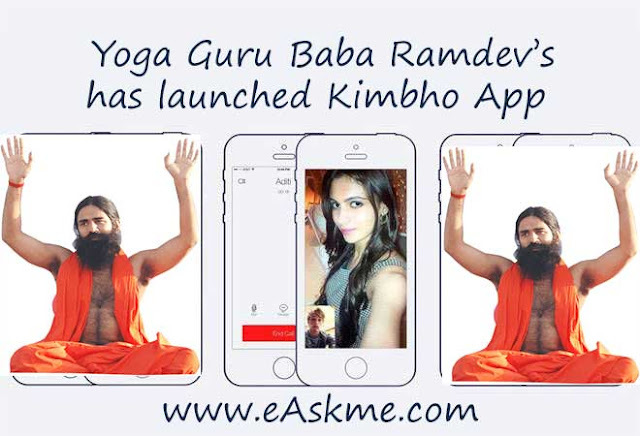 Patanjali is promoting Kimbho app as the real swadeshi messaging app. 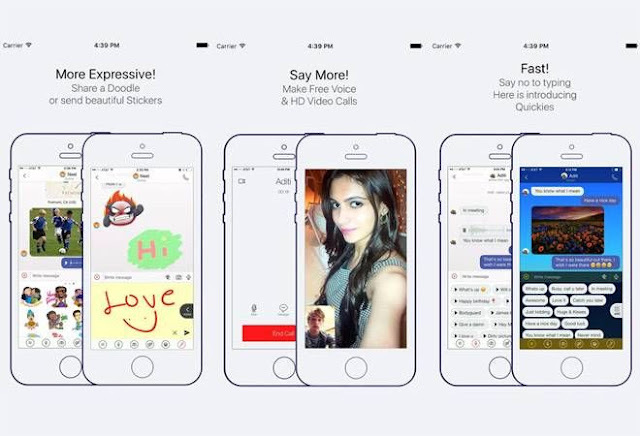 It is said that it will give fierce competition to Whatsapp. According to the app description, you can use the kimbho app to share messages such as text, images, audios, videos, gifs, stickers, doodle, quickies, etc. The company claims that Kimbho is a technically advanced app. It supports real-time messaging. The message is secured with end-to-end encryption. It also claims this app does not store any data. Kimbho app supports ghost messaging. In ghost messaging, the user has to select ghost option before sending the message. Once he sends the message, the message will disappear from the receiver's phone after few seconds. Kimbho is available with varying options of the theme. You can change the theme of this app whenever you want. This makes you feel refreshing everytime you change the theme. Kimbho app helps you with preset messages known as quickies. These are the messages which are already there in the app. you need to send them whenever you want. Till now Patanjali has not disclosed that if the app is supporting artificial intelligence or not. Kimbho App is registered under the Patanjali Communication. Update: Google Playstore had delted Kimbho App. We are trying to find an explanation from Patanjali spokerperson, But till now they have not responded. Till the time enjoy with eAskme Android App . Why Kimbho app deleted from Google Play Store and iOS store? According to the latest news, there are two reasons why Kimbho app deleted from Google Play Store. Kimbho app was using photo of Pakistani Actress Mawra Hocane without her consent. We can hope that developer can fix the issues with Kimbho app and it will go live again, Till then stay tuned with eAskme. What do you think? do share via comments. Don't forget to like us on Facebook or subscribe eAskme newsletter for latest updates.